Jerusalem Affairs Minister Ze'ev Elkin calls on opposition to show their concern for Jerusalem by supporting construction throughout city. 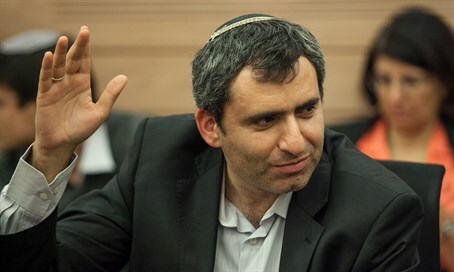 Jerusalem Affairs Minister Ze'ev Elkin (Likud) spoke at the Knesset plenum about a bill by Yesh Atid and Zionist Union, concerning the shrinking population in the capital. “The main reason for people leaving the city is the housing shortage and the high costs of housing,” he said.